﻿ Why Choose St Simons Properties & Sea Island Properties for Winning Investment? Why Choose St Simons Properties & Sea Island Properties for Winning Investment? For the first time since 2007, United States home values posted an increase in July. This was good news for people who invested in property throughout the nation. Zillow tracked 167 housing markets, and 53 experienced annual increases. The numbers show that real estate prices are on the rise and are expected to rebound in the next year by 1.1. percent according to Zillow. If you are in the market for a vacation property or a primary home, this is the time to buy before the prices increase in value. Even Barronâ€™s agrees that Sea Island properties are one of the best investments in 2012 for second homes. Lower prices indicate a tremendous opportunity for people who are seeking to buy. Why are St. Simons and Sea Island Properties Great Investments? If your home is located in a gated community with a golf course or country club, expect home values to increase substantially. People want to live in communities with built-in recreation. Numerous Sea Island propertiesÂ and St. Simons properties for sale are near golf communities. Sea Island properties and St. Simons Island properties are more valuable for this reason. Water is calming and relaxing. This is why so many people retire near the beach. 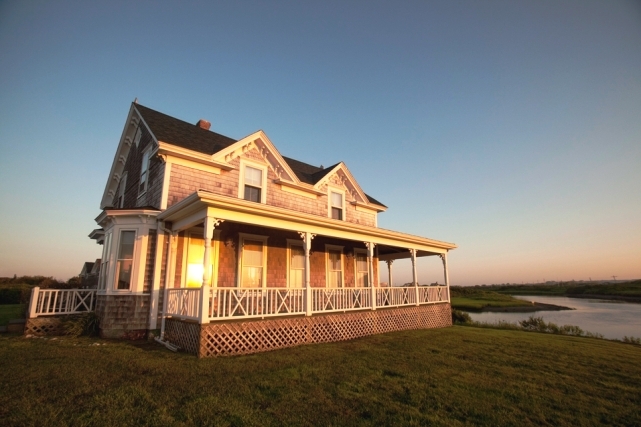 Home values near beaches are typically higher and retain value more during economic downturn. There is land for sale by Sea Island and St. Simons Â near the beach that is considered a wise investment for those who are patient enough to wait for the returns. Recreation such as fishing is a great reason to move to the Golden Isles area. July and August have proven to be fruitful for fishing enthusiasts. If you are visiting the area, charter a boat and venture out for a fishing excursion. You will quickly determine why so many people choose the Golden Isles experience. Golden Isles is simply breathtaking. This area attracts artists of all types who are inspired by the scenery. It is not uncommon to view artists painting near the beaches or near areas with moss-filled trees. Artists come to rejuvenate and revive their love for the arts. Even musicians find inspiration here. The Jekyll Island Beach Music Festival will take place from August 16 to August 18 and is not far away from St. Simonâ€™s Island and Sea Island. If you come for the music, stick around and check Sea Island listings and St. Simons Island listings for homes for sale. You may find that the Golden Isles community is what you have been searching for all along.